Grocery carry out cart has a fold up top shelf, extended side rails and a lower tray. 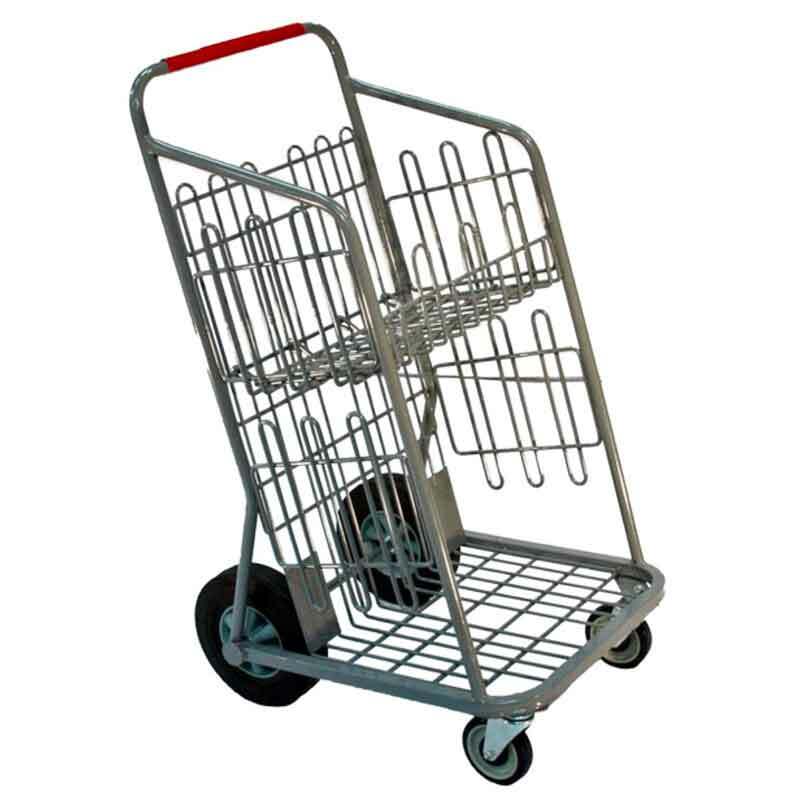 This rugged utility cart can be adapted to many retail material handling requirements. Standard granite gray coated finish, plain handle in six standard colors.